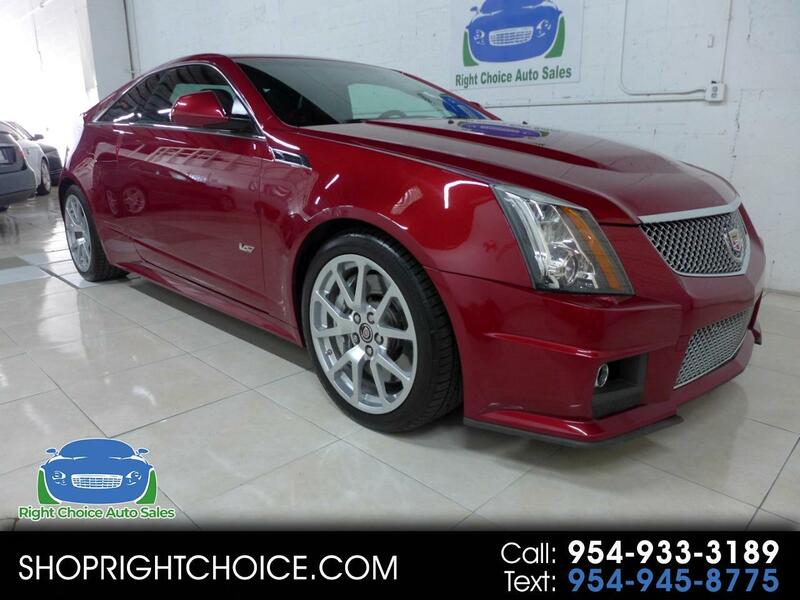 WE CAN DELIVER THIS CTS-V TO ANY DRIVEWAY IN THE COUNTRY! VISIT OUR WEBSITE AT WWW.SHOPRIGHTCHOICE.COM TO SEE 95 PHOTOS, THE FREE CARFAX, AND MORE INFO ON THIS SPECTACULAR CAR! YOU WILL OWN THE ROAD DRIVING THIS HIGH PERFORMANCE ROCKET! IT'S A GARAGE-KEPT, 1-OWNER AND HAS EVERYTHING YOU WANT INCLUDING A CLEAN CARFAX (NO ACCIDENTS), $8,595 IN OPTIONS, IT'S IN EXCELLENT CONDITION INSIDE AND OUT AND IS PRICED TO BE THE BEST DEAL IN THE COUNTRY! DON'T MISS THIS ONE.